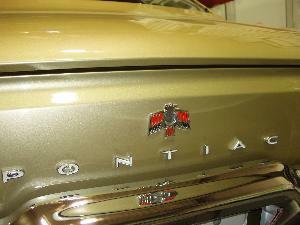 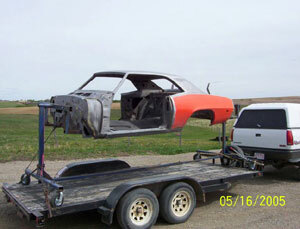 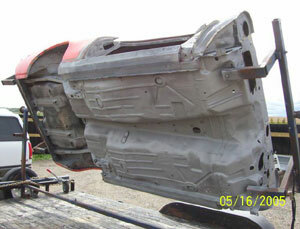 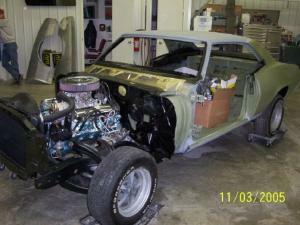 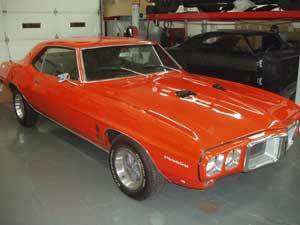 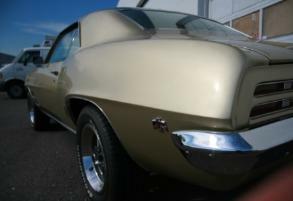 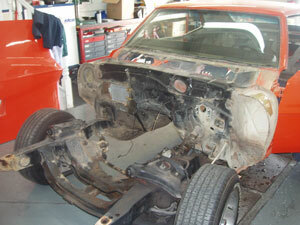 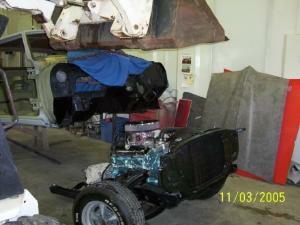 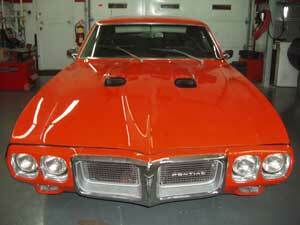 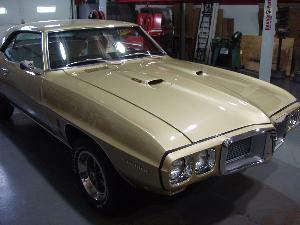 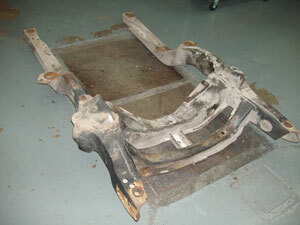 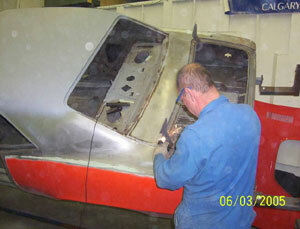 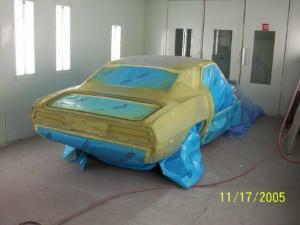 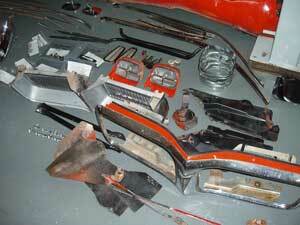 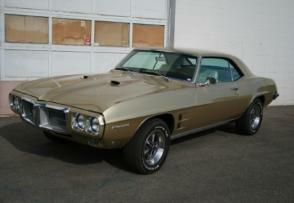 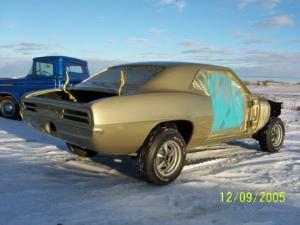 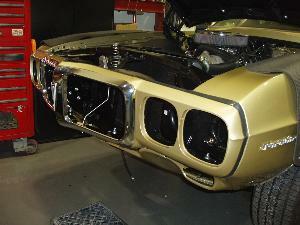 1969 FIREBIRD 400 - THIS IS THE START OF A COMPLETE RESTORATION ON THIS RARE FIREBIRD. 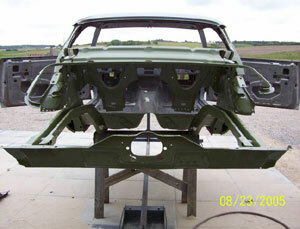 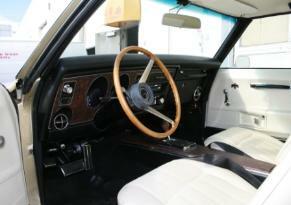 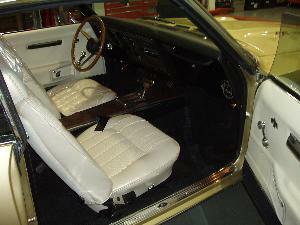 THE PICS BELOW ARE BEFORE SHOTS - AS SHOWN THIS IS A VERY NICE CANDIDATE TO RESTORE. 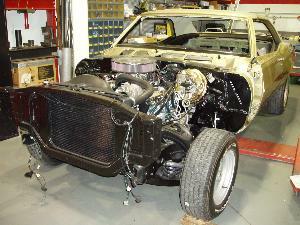 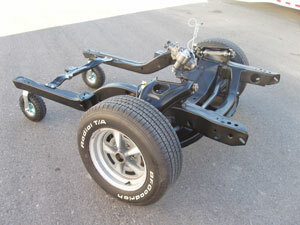 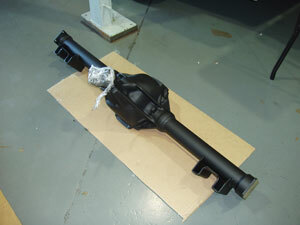 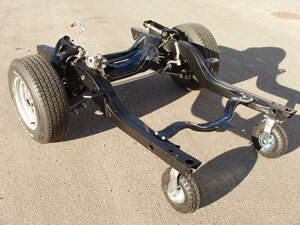 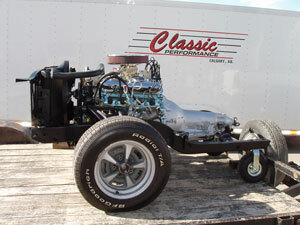 DIS-ASSEMBLY WE MAKE NOTES ON ALL OF THE COMPONENTS AS PER CONDITION AND IF THEY NEED TO BE REPLACED OR RESTORED. 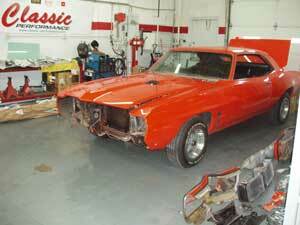 ALL COMPONENTS GET BAGGED, BOXED & LABELED AS WE BEGIN THE RESTO. 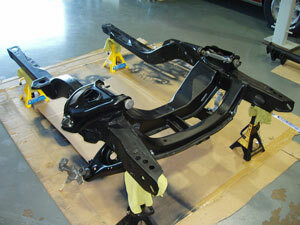 THE SKELETON IS BLASTED & EPOXY PRIMED. 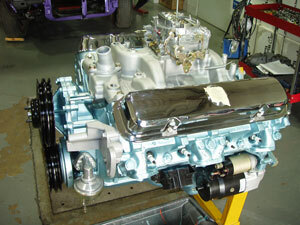 NEW 1 PCE. 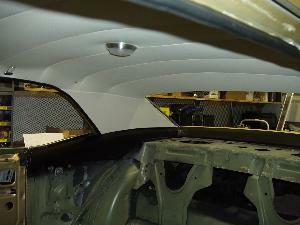 TRUNK FLOOR BEING INSTALLED. 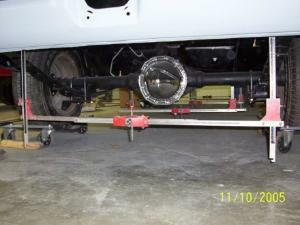 ADJUSTED & TORQED TO SPECS. 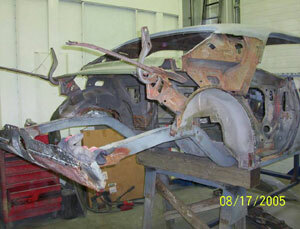 NEXT STEP IS TO HANG & ALIGN ALL SHEETMETAL & PREP FOR PAINT. 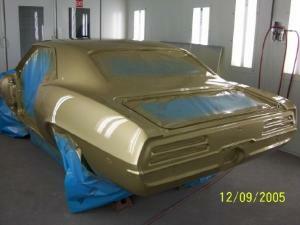 PANELS PAINTED BACK TO ORIGINAL COLOR - ANTIQUE GOLD - NEXT STEP IS ASSEMBLE, ASSEMBLE, ASSEMBLE. 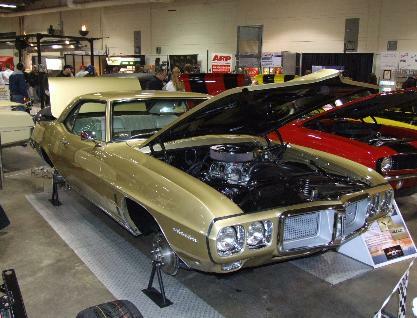 IN CALGARY ON FEBRUARY 24TH, 2006.